Excellent energy resolution: 0.16% at 2.039 MeV, 4-keV ROI. This improves the signal-to-background ratio. Slow 2νββ rate: T1/2= 1.4 x 1021y. This is an irreducible background, so a low rate and excellent energy resolution are key. Highly enriched: Demonstrated ability to enrich from 7.44% to 86% 76Ge. This increases the double-beta decay rate and reduces backgrounds from radioactive isotopes of germanium. Background rejection: Powerful techniques like granularity, timing, and (in PPC detectors) pulse shape rejection can be used. Works as source and detector: Maximizes source to total mass ratio and increases efficiency. Well-established technology: There are existing, well-characterized large germanium detector arrays. PPC Detectors have a small dimple-like central contact, instead of the deep well found in coaxial detectors. The MAJORANA Demonstrator uses P-Type Point-Contact (PPC) Detectors to further reduce backgrounds. Because of their low weighting potentials, PPC detectors give differently shaped signals for single-site and multi-site events. Since the double-beta decay of 76Ge is always a single-site event, this allows us to cut away multi-site gamma interactions, reducing the background constribution from high-energy radioactivity. PPCs also have very low capacitance (~1 pF), giving them low energy thresholds and superb resolution at low energies. This will allow us to conduct competitive searches for other new physics events, like WIMP and axion interactions. 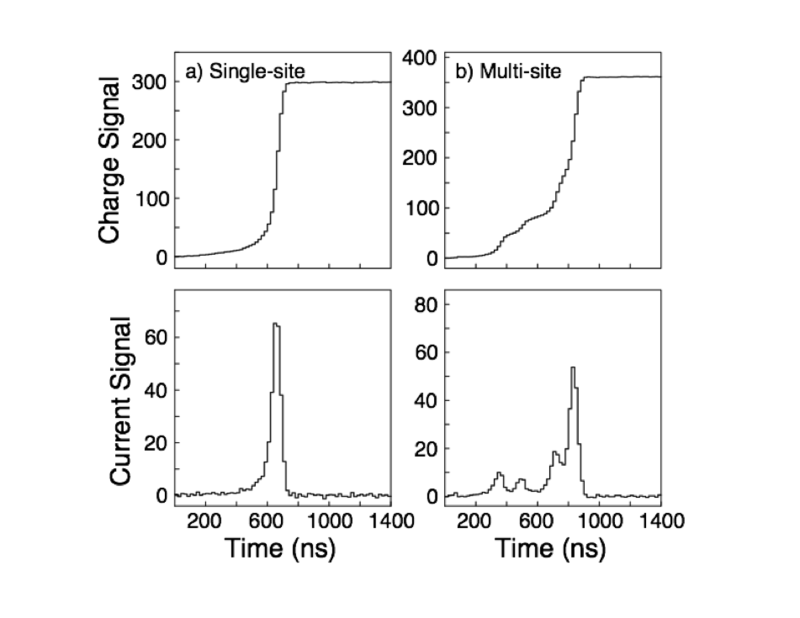 The rising edge of multi-site events is "stretched" in time, leading to improved pulse shape analysis rejection of multi-site gamma events. The MAJORANA Demonstrator uses a modular design that is naturally scalable. Detectors are mounted in detector units and stacked into "strings" of 4 to 5 detectors each. 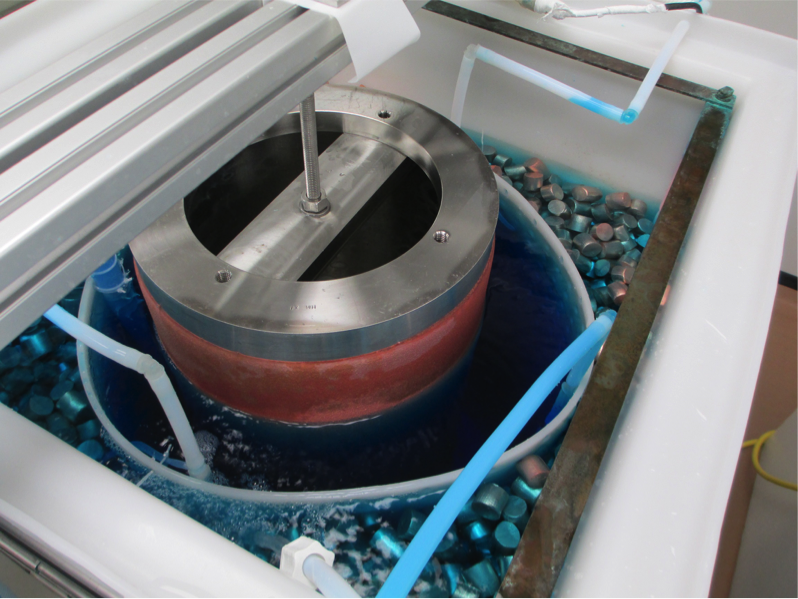 7 strings are loaded into each of two cryostats, which have separate electronics, vacuum, and cooling systems. The two cryostats are housed together in a compact shield. To have sensitivity to the very rare 0νββ decay, MAJORANA must have a very low background rate. 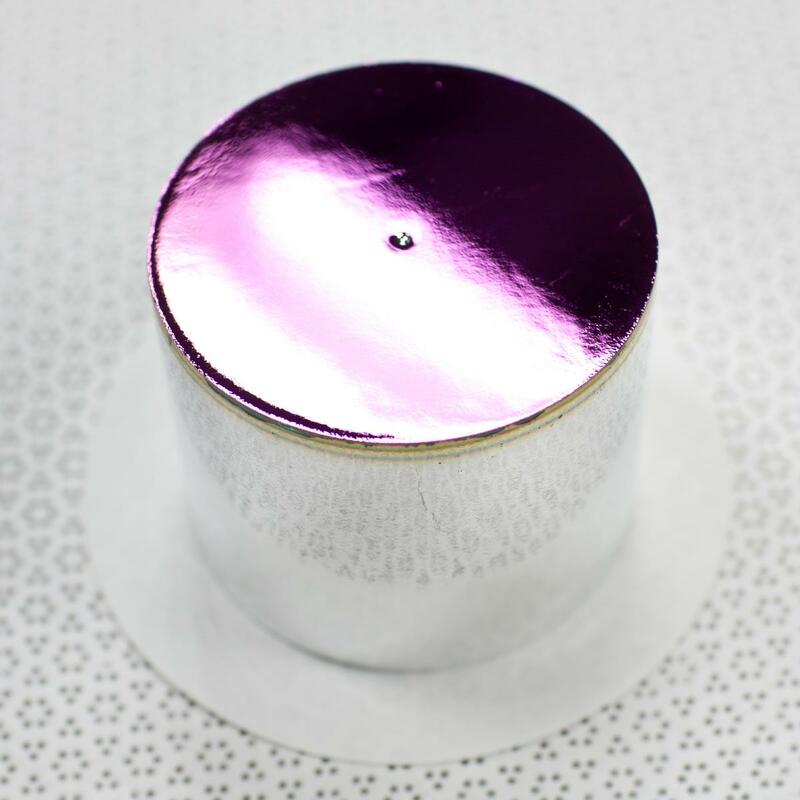 To achieve this background, the MAJORANA Demonstrator uses materials that are very low in radioactivity, including copper that is electroformed and machined underground. This helps elminate uranium and thorium contamination and reduces activation by high-energy cosmic rays, leading to copper that is up to ten times less radioactive than commercial copper. All of the materials used in the Demonstrator are validated through an extensive radioassay campaign. Surface exposure of the detectors and components is limited to prevent cosmic-ray activation. Most components are produced and machined underground, and never taken to the surface. Ultra-pure copper for the Demonstrator components is electroformed underground. The MAJORANA Demonstrator is being built and housed 4850 ft. underground, at the Davis Campus of the Sanford Underground Research Facility (SURF). This reduces environmental backgrounds and cosmic-ray activation of detectors and components. To further reduce backgrounds, all work is done in a class-100 cleanroom. Detector units and strings are built inside a class-10 glovebox with a radon-reduced, dry N2 environment. The strings are loaded into cryostats inside the glovebox prior to sealing and final docking inside the shield. 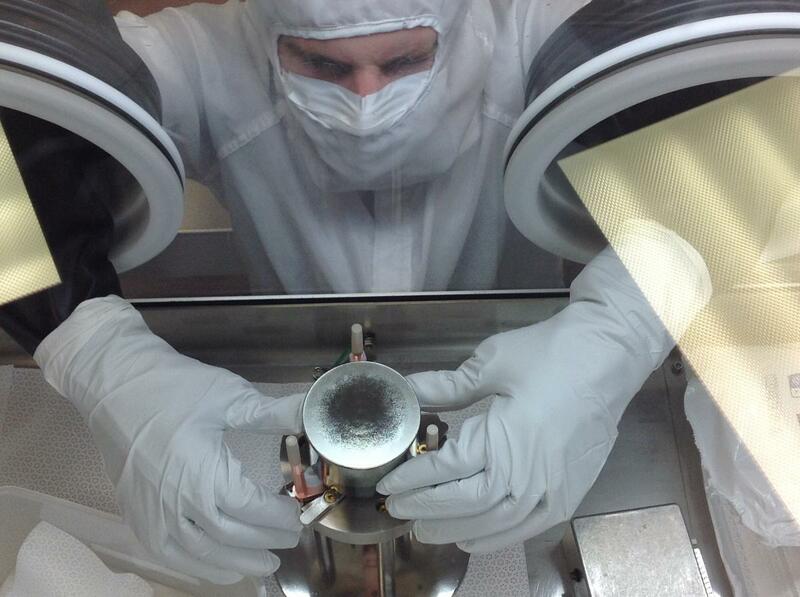 MAJORANA graduate student Ben Jasinski assembles a detector unit in the glovebox.